Robert Schmadtke interviews Boris Nad. Serbian author, representative of the Eurasian Movement, leading Fourth Political Theorist and friend of Open Revolt. Published with permission. The questions are Robert’s and don’t express our own thoughts necessarily. Robert Schmadtke: How did you and Prof Dugin came to include elements of Thelema by Crowley into your ideas? Boris Nad: I can not speak in Dugin`s name, but only in my name, and about my relation to Crowley. Crowley is a very interesting and contradictory personality, which typically goes beyond both his followers and interpreters. We can say: he’s a person of magnetic charisma. The problem with Crowley is mainly a problem of interpretation, and the interpretation thereof. We should add to this his propensity to scandal and mystification. “If we associate him with Satanism,”Julius Evola remarked, “it is because he himself invites us to do so.” Thus, the interest in this author is entirely natural. There is a strong metaphysical impulse in his doctrine. Here it’s seen as contradictory, to refer to Crowley and the same time fit into Christianity, as Prof. Dugin gave an interview on Tuesday after Easter and did as good Christians do, saying “The Lord has risen from the dead,” expecting the other one to say: “He is indeed risen up.” How do you put that under one hat? The Fourth Political Theory (4PT) movement also uses the Chaos Star to identify with. As far as I know, that star belongs to chaos magic, something, which got its origin in and is practiced by small groups in North Britain and elsewhere. From what I have read, it claims to overcome contradictions in higher physics but does not question things like Einstein’s theory of relativity itself – does the Fourth Political Theory interfere with any of this? If not, what does the Chaos Star mean to it, to you? BN: Each symbol is ambiguous. In geography, the eight-pointed star is the compass, something that provides orientation, introducing order in the seemingly chaotic space, the geometric symbol of the Universe. In Orthodoxy, it is eight-pointed star of the Virgin Mary; It is found in religious icons. It is the morning star and evening star, a guide and point of orientation. It is the star of Lucifer, Ishtar and Venus, and a powerful symbol of “chaos magic”… In the Bhagavad Gita, Lord Krishna says: “Earth, Water, Fire, Air, Ether, Spirit, Intelligence and Ego are my eight separated energies.” The symbol is basically an over-rational one. It’s impossible to explain in a rational way, at least not from the limited position of human beings. Our understanding of symbols is therefore necessarily incomplete, and their meanings, from our perspective, are contradictory. The symbol is possible to know, but can not be explained. Science is, of course, an inferior method of cognition. Science is, after all, constantly redefined, changing their methods and findings. A rational approach is necessary, but is just not enough. Tradition is over-rational, and their learning over-temporal. Rene Guenon speaks about their superhuman origin. Philosophers like Alain de Benoist, I started reading years ago and I like him. But here starts the problem: national conservative education academies publish his articles too, of course with permission, whereas mainstream society declares itself as leftwing liberal, defines Ezra Pound, De Benoist and others of like mind as their enemies – what are you going to tell those narrow minded ideologists in a debate, who tolerate everything but other positions? BN: Liberalism is the main ideology of American hegemony. It just seems tolerant of their opponents, but liberalism is, undoubtedly, a fully totalitarian ideology, which does not tolerate opposition. In the past, compared to communism or fascism, it used a somewhat “softer approach” to its enemies, but this time is now behind us. Today it is acting ruthlessly and brutally. Liberalism holds the naked terror, bombs , occupation and military power (the U.S.). Its allies are Salafis , Wahhabis , Ukrainian neo-fascists , etc. Today’s liberalism is the ideology of the sunset, which is trying to maintain itself at any cost, by any means necessary. Since liberalism can no longer expect to be tolerant of views that deny it. Ezra Pound was, let us remember, confined in a cage, like an animal. He may have had nothing to do against it, bearing in mind the true reality, the deep truth of such a society. But it says a lot about the liberal attitude towards its opponents. All existing society constructions till now have been plagued by corruption. One could say, corruption starts, when a child promises to Jesus, to be nice, when he’ll give him a bicycle in reward. Or the other way round, when parents promise a certain reward to their kid, when he behaves nicely. 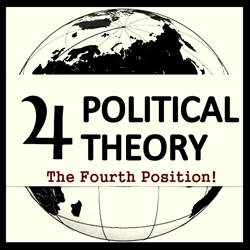 How will the Fourth Political Theory end corruption? BN: Corruption is probably as old as human civilization – or even older than that. According to Christian belief, these are the “end times”, which precede the arrival of the Antichrist. According to the Indian doctrine, we are living in the last in a series of regressive cycles, in Kali Yuga. The only measure of it is money, tangible value. The man here is just an economic animal, who lives only for his own pleasure. Liberal ideology is based on the acceptance of a universal selfishness, and in fact is its only legitimate criterion. It is pragmatic and commercial. This is legalized corruption. How does it stand up? The Eurasian answer is ideocrasy: the state must be built from the top to bottom, with the primacy of the spiritual impulse. This is an apparent contradiction to the mercantile, pragmatic, and utilitarian. It is a hierarchical rule of the spirit, as opposed to the order of trade; empire, red or white, as opposed to the commercial, democratic republic, Sparta versus Athens , Rome versus Carthage, in a word – Continent versus the Sea. We must drive out the merchants from the temple. Only spirit can oppose universal liberal corruption, and it is this principle that has to be built in the state. You use a bunch of “occult” symbols like the sign of Jupiter or Jupiter’s flash, the Chaos Star and so on. At the same time people become more aware of occultism in the highest circles ruling the earth from the shadows – the actors are not even known to most of us – bloggers speculate and estimate the most horrible motivations behind all of this. Jupiter’s flash, for example means something good like hope, an unexpected, lucky happening, times of pulsing life that bring positive changes with them, but chaos magic and such might frighten many people, especially because of the Jesus archetype in all of us, even Muslims – what do you think, will they accept the new theory, find faith in it? Political doctrines and ideologies of our time are only distorted and largely or completely secularized, ancient forms of religious concepts and ideas. They have their distant, degenerate and late echo, devoid of its religious essence. But even in such form, often distorted beyond recognition, they still maintain their original archetypal content, together with a surprisingly large number of people. On the other hand, the masses are not able to accept the many concepts and ideas. Should it be surprising that there are profound differences between what is presented to the masses, and what the elite believe, or the pseudo-elite? But “at the end of time,” the truth is close at hand, but only rarely recognized. Symbols and archetypes work even if we are not conscious of them – especially then. The Archetype of Savior – Christ, hence the effect on Muslims or Buddhists, the archetype of God’s prophets too. Hindus know the nine avatars – the tenth is still expected. For Christians, Orthodox Christians, in particular, it is the second coming of Christ, the time of destruction and chaos, and time of the new birth. The end of one cycle, the beginning of a new one. Prof. Dugin, you and the other theoreticists found a way to syncretize all these different influences, so if you don’t mind, I’d like to ask you about the influence of freemasonry on you and also on president Putin. Do you belong to any lodge? I have no knowledge about whether Putin belongs to a Masonic lodge. And I do not think it is particularly important. As for me personally, however there are authors who belonged to Freemasonry and were to some extent, an influence on me. But this applies to the 18th and 19th century, not the modern Masons. Was I a member of a lodge? If I was, do you think I’d admit that? Some people know, that former Russian President Michail Gorbachev gave permission to international freemasonry to do, what they usually do, as they call it philanthropy, and think perhaps he got his job from them. Stalin is claimed to have been a high grade freemason, but during the cold war, freemasons’ activities were officially prohibited. Did they continue in a covert way after Stalin’s exclusion? How was it exactly, did he step out or was he thrown out of it? BN: The influence of Freemasonry is probably much more important in some of the earlier epochs of history than it is today. I do not think that the Masons in our time are especially influential. There is, after all, a series of secret societies, some of which still remain truly secret and are able to drive or to significantly influence the course of historical events. Masonry would be, in this case, only the outer mantle, beneath which hide the true secret organizations, which represent genuine religious principles. It’s also said, that Putin at least was a member of the Royal Arc Lodge, which actually has no typical signs of freemasonry on its celebrating coats, there’s this picture where Putin together with George W. Bush and a Chinese functioner together walk on a lawn, smiling happily. Do you want to tell me about this development, give me insights? Did Putin perhaps step out of the lodge because of better influence by Prof. Dugin and friends? 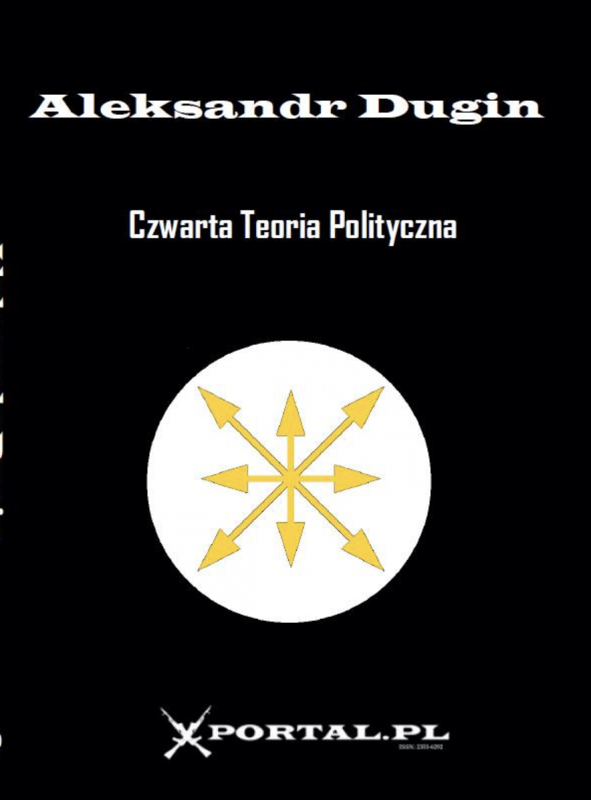 BN: There is one very inspired author, whose concepts correspond to the theme of geopolitical conspiracy, “The great war of continents”, about which wrote Dugin – Jean Parvulesco. It is a kind of geopolitical mysticism. For him it is a new Eurasian empire, Empire of the End Times, for which the right person is, according to Parvulesco, Vladimir Vladimirovich Putin. For Parvulesco, “Putin is the direct emanation of the secret revolutionary groups of the Armed Forces of the Soviet Union”. For Putin there’s almost a sacred role. He is a true messiah of the new empire. Parvulesco claims that Putin was prepared for its mission for years. It makes its appearance in a moment of dramatic change. At this point, it is barely discernible, considered Parvulesco, but it will soon become apparent.